Larick Associates, established in 1920, is a promotional production and corporate gift company. The company is the oldest family business in the industry that has specialized primarily in promotional gifts. 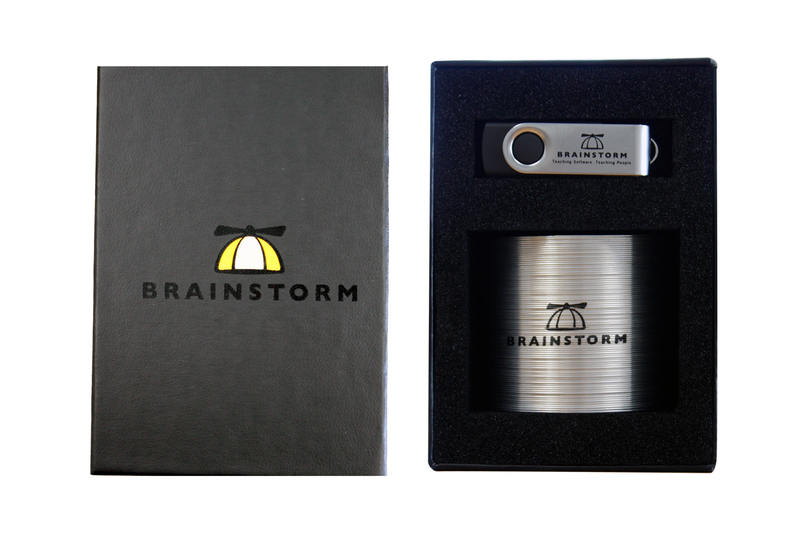 Larick Associates needed a creative packaging solution for their client, Brainstorm, who wanted a USB flash drive that was pre-programmed with a new product introduction for their employees. They felt it may be a challenge to create a custom box that fit exactly what the client was envisioning while at an affordable price. That is why Larick Associates turned to Sunrise Packaging. Larick Associates came to Sunrise Packaging looking for custom USB packaging that could house not only a pre-programmed USB, but they also wanted to incorporate a Slinky for a creative way to illustrate how much more free time the new product would give the employees of Brainstorm – enough to play with a Slinky. Working with veteran Sunrise Packaging representative Steve Sandahl, they were able to come up with an ideal customized case that housed both a USB and Slinky perfectly. 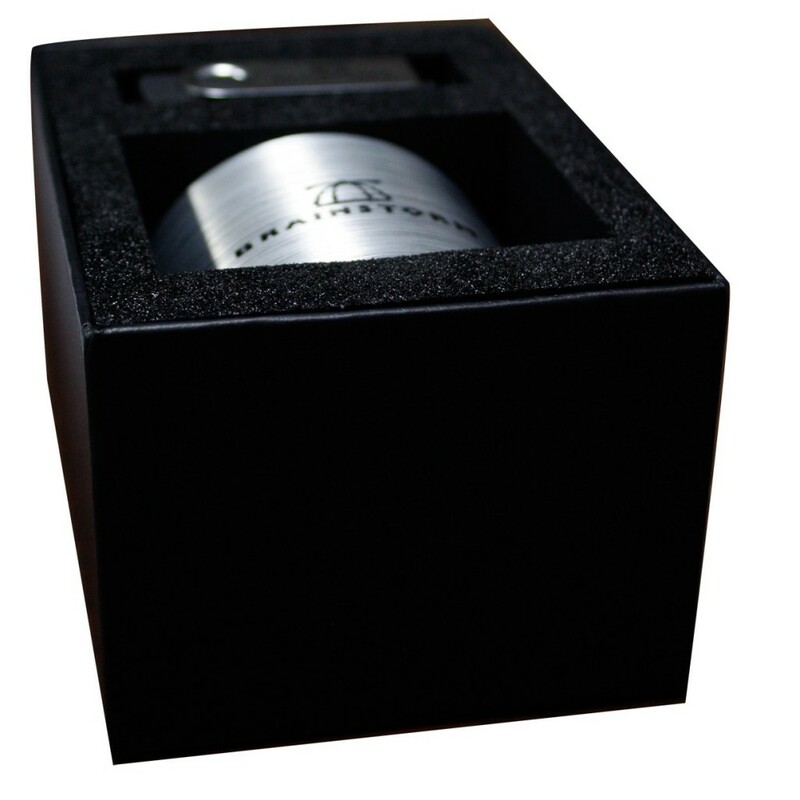 The results featured a custom case with turned-edge technology that gave the case a modern, sleek look featuring the company logo while giving the Slinky and USB with maximum protection. The USB and Slinky cavity was custom cut in foam to securely hold the flash drive and Slinky. In the end, Sunrise Packaging was able to custom create a box of excellent quality that fit the vision and price the client was looking for. ← How Colorblind Friendly is your Packaging?